This short article will show you step-by-step how to shop & buy on eBay from Kenya and get everything shipped & delivered to your door steps. KenTex Cargo is your single most reliable shipping company delivering to Kenya every week by air shipping. Before we get into details on how to buy & ship from eBay to Kenya, let me mention that we can help you buy what you need even if you do not have a credit card or a paypal account. 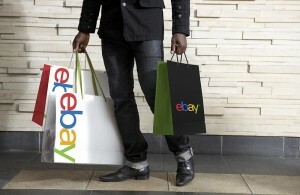 You may be among the few Kenyans who have paypal and credit card accounts linked to your eBay account. If you do, we are here to help you ship your commodity to Kenya either by air shipping or sea shipping. To get started, please fill the form at the end of this article. Using KenTex Cargo to Buy on eBay & Ship to Kenya. Ultimately, majority of our customers use this method mainly because not so many people have means to buy using their own accounts. This method is also a bit safer. We investigate the eBay seller and in some cases, we may call them just to make sure the eBay transaction is in fact safe. We also do the same for Amazon shopping & shipping to Kenya. On your end in Kenya, you need to send us your eBay purchase link using our intake form. We can only purchase from the eBay link you send us, primarily to avoid complaint that we purchased what you had not instructed. Using the order page helps us keep track of the eBay link you sent us for future reference. Once we make your eBay purchase, your package will be delivered to our address in the USA bearing either KenTex cargo name or your name. We will send you notification that your eBay item/package have been received and it is on its way to Kenya. Once your eBay shipment arrives to Kenya, Uganda or Tanzania, we will give you a call and either have you come pick up your package or schedule a delivery. Just like you’d do on eBay, we require you to make payments for your purchase upfront. No way around this, otherwise we are not able to purchase eBay items that have not been paid for. We may also require you pay for shipping before delivery especially on items we consider high risk. Example, if you were to order gun or pistol holsters, we would need 100% payments upfront. Same thing with art and memorabilia. Why? such items are near impossible to liquidate incase you fail to pay for shipping or they only have sentimental value than real value to a lot of buyers. Payments can be made using MPESA, bank draft or bank wire. for capital items like medical equipment, construction equipment, we must get a bank draft completed or a wire transfer before we can proceed with the transaction. For sea shipping on your eBay items, payments for shipping and insurance must be received before your shipment leaves USA. There is no way around this either as we have to pay import related charges, duty and taxes. are there any other extra charges that i will have to pay? can i order a car engine ? Good job. What are your charges? Do you ship from Kenya to the USA? Do I have to purchase from ebay Kenya to get my merchandize shipped to me or can I shop anywhere from Kenya and have my merchandize shipped to me? Do you ship to a P.O. Box in the USA? or does it have to be a physical or residential address? How much would you charge to ship a book bought from Amazon? No administration fees. Would you like to ship by sea or by air? Do you ship from the UK? Can I order a laptop from eBay that the buyer cannot ship the item to Kenya?